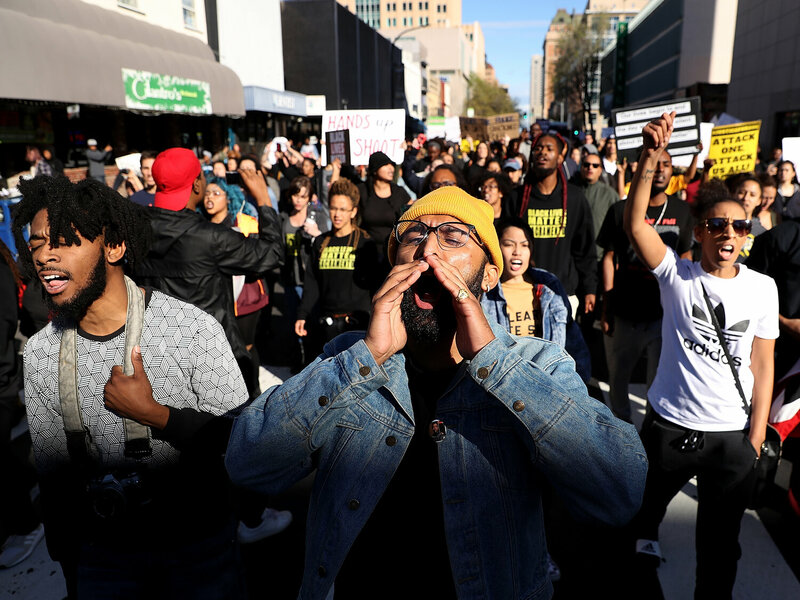 I didn’t hear Stephon Clark’s name at the spectacular Washington, DC March for Our Lives. Days before, Sacramento police shot and killed Clark in his grandmother’s backyard. They thought they saw Clark holding a gun, and fired 20 times to protect themselves and the neighborhood. No gun was recovered, only a cell phone near Clark’s body. The next day, demonstrators closed off the interstate protesting a tragic instance of gun violence, which didn’t quite fit into the gun control agenda at the demonstration. But the young organizers are working hard to deal with the complicated dynamics of race. The savvy Parkland kids know that they are riding a (mostly) positive wave of mainstream attention. [They’ve bravely taken a beating from trolls on social and partisan media–another part of contemporary movement politics.] They also know how different the reception they’ve gotten is from the BlackLivesMatter activists just a few years ago. Race and class are part of the story. These new organizers, determined to control their demonstration, kept grown-up and professional speakers off the stage. In a striking reversal of the typical large demonstration, the oldest people with access to a mic were the performers, all in their 20s and 30s. The Parkland kids were determined to share their moment and their spotlight with black and brown kids who had also lost friends and family to gun violence, and not just in schools. 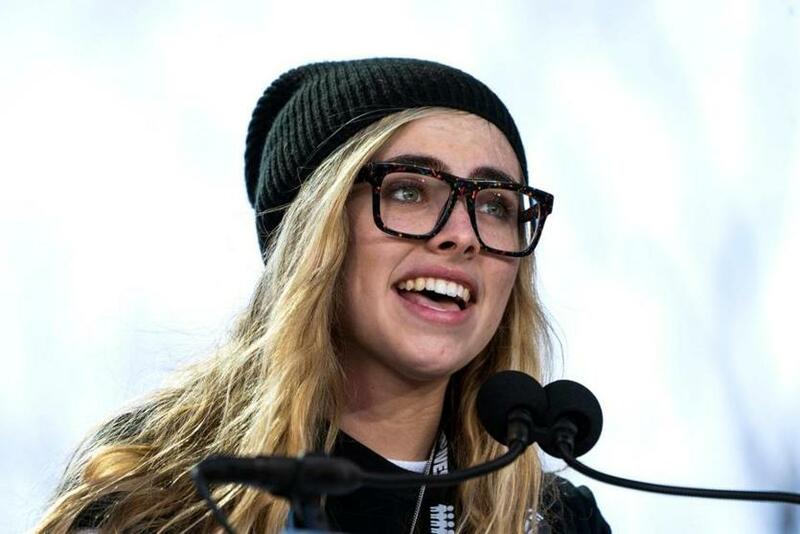 The seventeen speakers included the key organizers from Stoneman Douglas, who threw attention to powerful speakers from Chicago, Los Angeles, and Washington, DC. She then introduced Yolanda Renee King, Martin Luther King’s 9 year old grandaughter, who claimed the moment in talking about her dream. Both the podium and the attendees were a far more colorful crowd than a typical national demonstration. The speakers were all very clear that gun violence was a bigger problem than school safety, and they were determined to take it on. They want safer stores, streets, and communities. The Parkland kids displayed a sophistication about politics that people who don’t know high school students will find surprising. The Parkland kids are heroes, smart, brave, and committed. They’re confronting a difficult politics that, so far, is stacked against them. And they’re trying to do more. But something was missing. Black Lives Matter focuses on gun violence perpetrated by police, something that escaped attention from the speaker’s rostrum. The politics of recognizing this threat is tougher, and it threatens the mainstream support the Parkland kids have won. As a matter of policy, police who know that they might encounter well-armed miscreants in any situation are more likely to mistake a wallet or phone for something more dangerous. Fewer guns in our streets will make a difficult and dangerous job a little less so. As a matter of politics, the Parkland kids saw police coming to their aid, a view that’s far less common in other communities. Building an effective and sustainable youth movement means incorporating the diversity of America. It’s hard work. The Parkland kids are off to a great start; under tremendous pressure, they’ve worked very hard to build coalitions beyond their suburban enclave. Now maybe the rest of us have to work harder at seeing connections. This entry was posted in Uncategorized and tagged black lives matter, Delaney Tarr, gun control, guns, Jaclyn Corin, Martin Luther King, Mary Stoneman Douglas High School, Parkland, police violence, race, Sacramento, Stephon Clark, Yolanda Renee King. Bookmark the permalink. 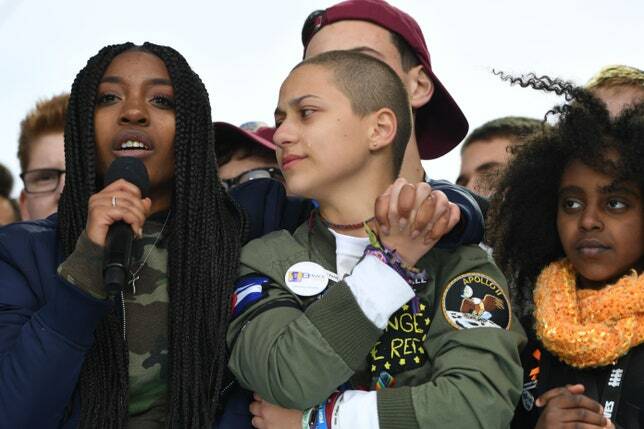 In today’s postmodern world,the question is….where do the Parkland kids belong? I will only address one of them. ..Her name is Emma Gonzalez. So many have attacked her from the far right for who she is. She is a Castro agent some cry out! She is a Communist others write. She is un-American, and does not belong here! She and her friends will rip up the U.S. Constitution, many post on social media. Ok. I hear your fears. But the question still stands. Where does she belong? Does she belong in Putin’s Russia? Does she belong in Iran’s Islamic Republic? How about Assad’s Syria? How about Saudi Arabia? Or what about Xi’s Communist China? I could continue, but I think you all get the point. America was founded upon a set a principles that apply to everyone. No other country in the world has this blueprint. Yes, sometimes these principles and convictions have been betrayed throughout history. But, America is still the best last hope the world has. Emma and the other Parkland kids are amazing, but they’re not that unusual.There are plenty of teens that smart, that committed, and that compelling. I’m grateful most have not experienced a school shooting. But, these kids make me optimistic about America.